Do not attempt to insert the SIM card while the device is powered on. Doing so may harm the SIM card and/or the device. 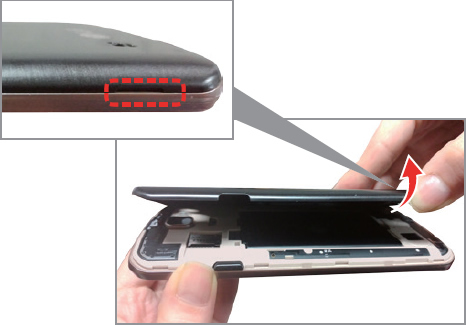 Using the notch (located on the lower-left edge, when the device is face down) gently lift and remove the battery cover. 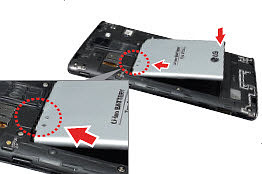 From the notch in lower edge of the battery compartment, lift and remove the battery. 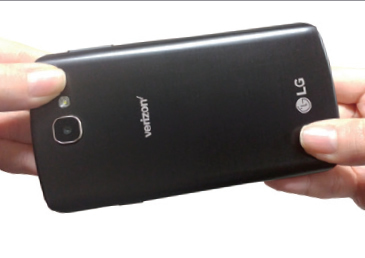 With the gold contacts facing down, align the card (notch first) then slide the SIM card in.